is yes. Photo courtesy of PR Watch. by douglas reeser on December 13, 2013. With the recent roll-out of the Affordable Care Act in the U.S., the health care system has come under scrutiny and has garnered much media attention. I am currently working on my dissertation that, in part, examines the national health care system in the small Caribbean nation of Belize. Having spent about 2 years living and researching how people maintain their health, and what they do and when they do it when they get sick, I was able to get an up-close and detailed look at the challenges, successes, and shortfalls of a national health insurance scheme. In Belize, the national health care system is run by the Ministry of Health, which operates the 2 arms of the public health system: NHI (the National Health Insurance scheme), and the BHIS (the Belize Health Information System). The BHIS is basically a surveillance system, that has over 90% of the population's health records in the system. Once someone is in the BHIS, they can visit any health facility in the country, including rural clinics, hospitals, private doctors, and even pharmacies, and their complete health records will be available for the provider. The BHIS, in theory, provides patients with more effective treatment and medication, and allows the Ministry of Health to more quickly identify broader public health needs and emergencies. The NHI is the part of the Belize health system that provides care. Available to any citizen, NHI provides access to health care at any of the country's rural health clinics, the more comprehensive policlinics, as well hospital care. My research, conducted in a rural and somewhat isolated part of the country, showed a number of problems with how the NHI services were staffed, funded, and provided. I've chosen to highlight these aspects of the system in my dissertation, as a service to the people in Belize who were so hospitable towards me, and who rely on the services of NHI. However, now that I've been back in the U.S. for the majority of the last year, it's become clear to me that in many ways, the Belizean system, with all of its faults and problems, is far superior to the situation I and many others face here in my own country. How so? My income is currently (and has been for too many years) at or below the official poverty line. I was able to survive 8 years of graduate school by teaching and supplementing that meager adjunct salary with a substantial amount of student loans. I have never been able to afford health insurance, and thankfully, have never needed any significant health services. Any accident or health event that would have required care would have severely hampered my ability to complete my PhD. Such a need never materialized. Still, I am one of the lucky ones. Health insurance remains out of the reach of millions of U.S. citizens, mainly because of high costs. The Affordable Care Act is set to bring those of us out of the fold, into a sort of social safety net. With my income, I and many of those millions should be able to get our health needs covered by the State (to the large displeasure of many, but that's a topic for another piece). The creation of such a safety net is one of the positives to the new health care legislation, but from my vantage point, it still falls short. Part of the new legislation is the mandating that every U.S. citizen be covered by health insurance. Health insurance policies will remain in the hands of private companies, who, by most reports, will only raise premiums. 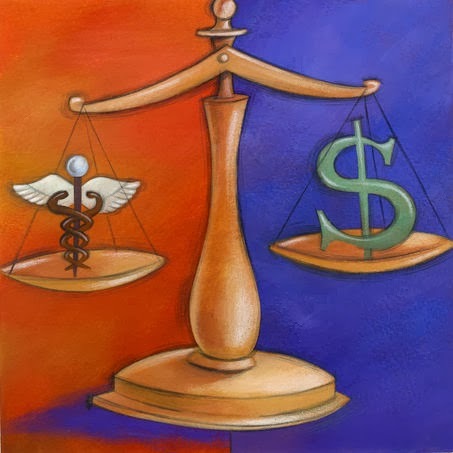 Either way, the new act mandates that we pay private companies for our health care. This is the very opposite of a true national health care system that aims to provide universal access to care. It can be argued that an act such as the Affordable Care Act is for the private good - for the good of corporations - as much or more than it is for the public good. By maintaining ties to the private insurance industry, millions of U.S. citizens who can afford health insurance will be required to maintain paying those premiums. However, being insured does not mean that one has access to health care. Most plans only cover costs after a certain amount is reached, anywhere from a few hundred to thousands of dollars. The prospect of having to pay $500, $1000, $5000 for health services that are not covered by their health insurance keeps many from seeking those services. Being covered by health insurance does not equate to universal coverage. Governments around the globe are struggling with how to best guard the health of their citizenries. Is access to health services a human right? A small country like Belize (along with many others around the world), financially troubled and resource limited, has decided that yes, people have a right to health services. By maintaining a system tied to the private for-profit insurance industry, the U.S. has loudly decided that access to health services is not a human right. By keeping health services in corporate hands, profit, and not the health of people, will take priority. And it is this fact that has me troubled, that profit is more important that public health. I live in a country - a country that I call my own - that does not see the health of its citizenry as a priority. My health, your health, your children's health does not matter as much as the bottom line. Profit is more important than health. That we live in a world where such a reality exists in arguably the most powerful country on the planet is hardly believable. The right to health is a universal human right - everyone born into this world deserves every chance to live a health and productive life, no matter where they are born or under what circumstances. Access to health services is the only way to make this very basic right a reality. The U.S. is far from such a reality. Too far. The situation is absolutely horrible. How can we be required to buy something from a privately owned company? I am 100% in support of universal health care, but this legislation is a sham. "Requiring" is much different than "giving access to." The health insurance companies are laughing all the way to the bank, I'm sure. this is a corporate world run by corporate minds all in the name of profit!